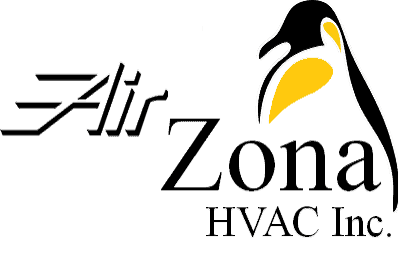 Recommended AC Settings – AirZona HVAC Inc.
our home’s heating and cooling system should provide convenience and comfort to your indoor environment. Setting your thermostat for both comfort and energy savings is important to every homeowner. One simple solution to managing your heating and cooling system is to adjust your thermostat settings according to your habits, preferences and the temperature outside. The closer your thermostat setting is to the outside temperature, the more you’ll save. During the warm weather, it is generally recommended that you set your home’s cooling system to 78 degrees Fahrenheit when you are home. If you will be out of the house for four or more hours, consider raising the setting so the cooling system only comes on if the temperature tops 88 degrees Fahrenheit. So, keeping your home’s temperature slightly higher and using the best settings for spring and summer can ultimately help save you money. Later in this article, we give an overview of the benefits of installing a programming thermostat to easily manage your thermostat throughout the day. In the winter, you can save energy and keep your costs in check by keeping your thermostat at 68 degrees Fahrenheit while you are at home during the daytime. Depending on your family’s personal comfort preferences, one idea you may consider is lowering the thermostat at night while you sleep. Many people find it comfortable to sleep in a cooler environment while using winter blankets to regulate warmth. It’s important to note that indoor humidity plays a role in the comfort of the air in your home. Read here about managing the humidity in your home to help you achieve your desired comfort level. Most programmable thermostats are able to automatically adjust the temperature in your home up to six or more times per day. You can also manually override the automatic settings if you need to at any time without interrupting the daily or weekly programming. A programmable thermostat offers such ease of use, that it’s easy to set your home’s temperature lower while you are asleep or during the day when you are at work. In the summer months, raising your home’s cooling temperature to over 78 degrees Fahrenheit for eight hours per day — a typical work day — can really make a difference in your utility bills. When programming your thermostat, just take into consideration your daily schedule.In the winter, do you like to sleep in a cool house? If you like your home cooler at night, set your thermostat to a lower setting about an hour before you actually go to bed so the house starts to cool down. Prior to waking up, you might want to set the thermostat so the heat comes on approximately two hours before you actually get up so the house is nice and warm. You can read about more benefits of using a programmable thermostat in Energy Star’s Guide to Energy-Efficient Heating and Cooling. A home’s comfort level is determined by who lives within the home. Some people like a home that is warm and some prefer a cooler environment. If you haven’t been consciously managing your temperature settings up to now, you might be surprised that changing your settings just a little up or down, depending on the season, will provide you with the same comfort you have enjoyed previously in your home.